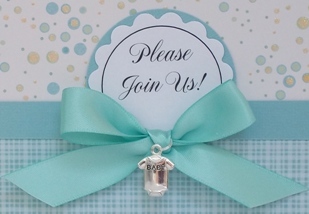 Baby shower invitation template - try a charm. Find lots of homemade baby shower invitations and other paper card making ideas for many occasions. I think this handmade baby shower invitation is simple yet cute. 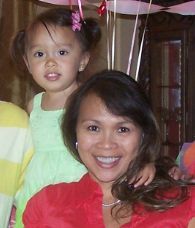 When making invitations, you often want to go the simple route because you normally have several to make. For many of my handmade card making projects, I often use craft punches. I used two different punches for this baby shower invitation. One was a scallop circle punch and the other, a large circle punch that was just a little bit larger than the scallop circle punch. 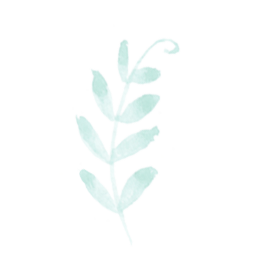 When making handmade baby shower invitations, you might want to consider using a simple template since there are usually lots of invitations to make. For my homemade card ideas, I turn to sketches from an ebook I purchased called 50 Card Making Sketches and that's where I got the template to make this invitation. 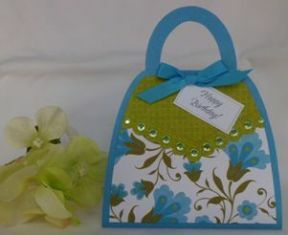 I've used the same design for many of my homemade card ideas to make cards for other occasions. 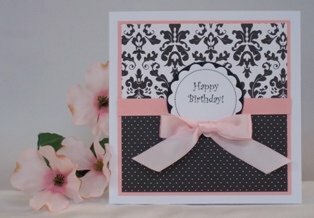 The ebook has the instructions on how to make this card and also includes the measurements. The sketch didn't have the ribbon so I added that myself. When you create baby shower invitations, look for baby themed charms to add as a special embellishment to your homemade greeting card ideas. I found this cute charm of a onesie which I thought was versatile because I can use it for a boy or girl. These charms add that extra touch when you want to make simple and elegant cards. You can personalize baby shower invitation cards when you use a computer to print out the sentiment. 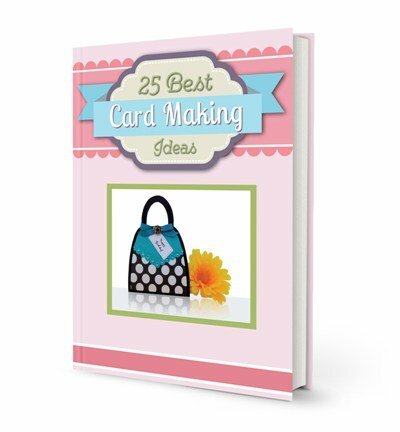 I use a computer for many of my cardmaking ideas. Once the correct size of the circle is created, typing in the message to fit inside the circle is fast. 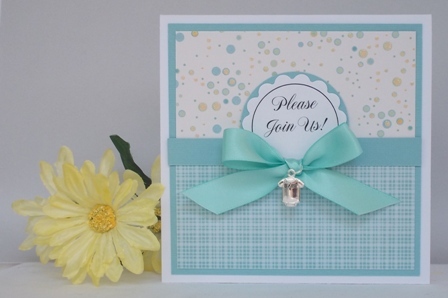 Here are other examples of handmade cards you can use for a baby shower invitation template. and images of finished cards and you can download the it right away.